Pusha T stirred up a lot of controversy when he used an image of Drake wearing black face as the artwork for his diss song ‘The Story of Adidon‘. Many people were offended and sought an explanation from the Toronto superstar on the subject. 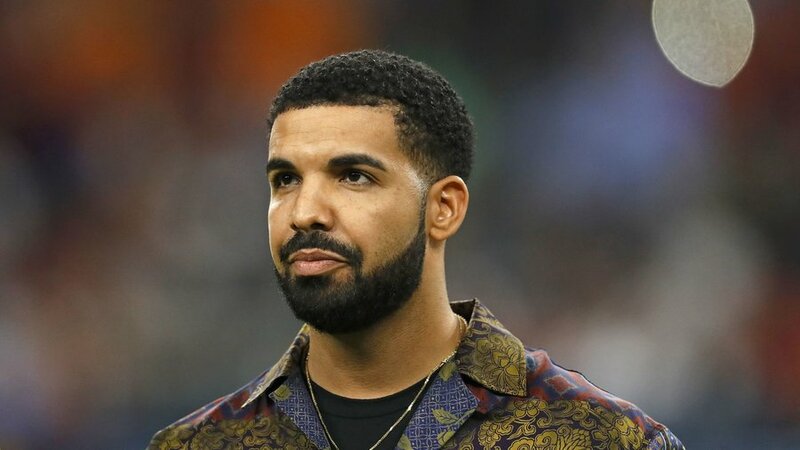 Drake has now taken to Instagram stories to release a statement on the situation and the reason he decided to do that photo shoot back in 2007. “The photos represented how African Americans were once wrongfully portrayed in entertainment,” said Drake. 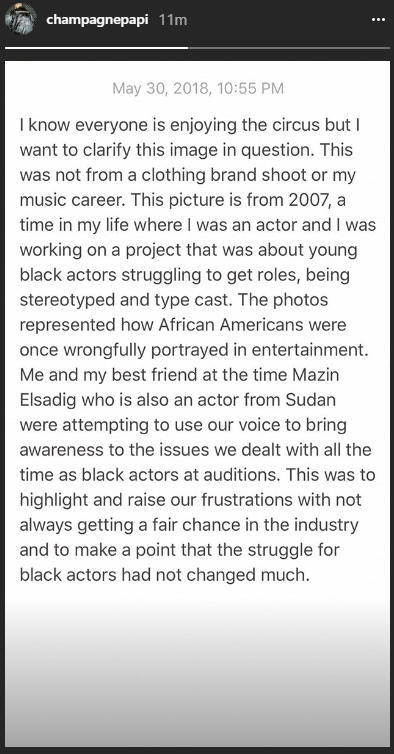 “Me and my best friend at the time Mazin Elsadig who is also an actor from Sudan were attempting to use our voice to bring awareness to the issues we dealt with all the time as black actors at auditions,” he continued. Read the full statement below. Earlier today (Wednesday), a statement from Too Black Guys founder Adrian Aitcheson was released to the media regarding the said photos. “The photo in question was not from a Too Black Guys photoshoot however it did feature clothing from Too Black Guys’ JIM CROW COUTURE/HOUSE OF CROW collection which was released in 2008,” Aitcheson said.